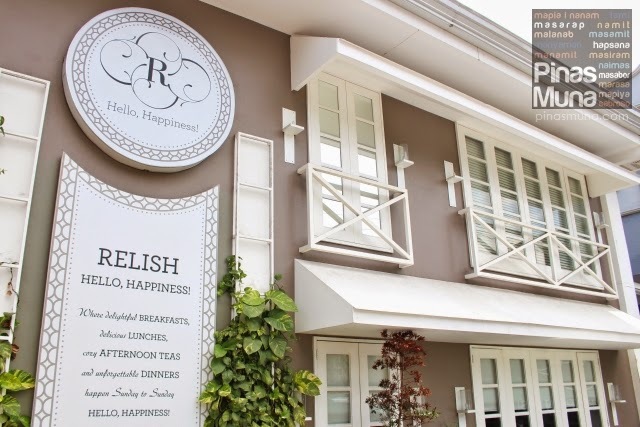 Relish Hello, Happines is a modern restaurant located along Scout Limbaga Street in Tomas Morato, Quezon City. 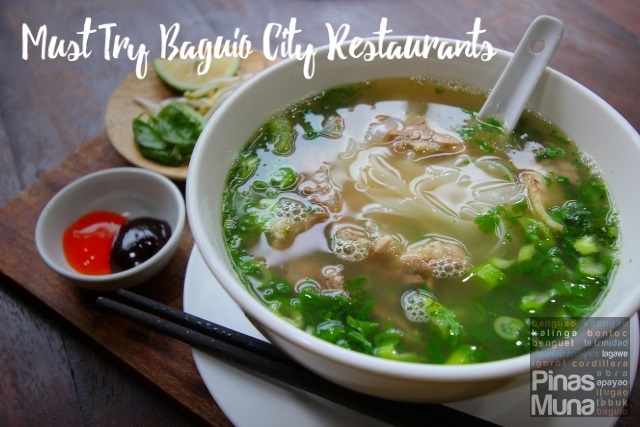 It serves cross-continental food including Filipino, European and American cuisines. 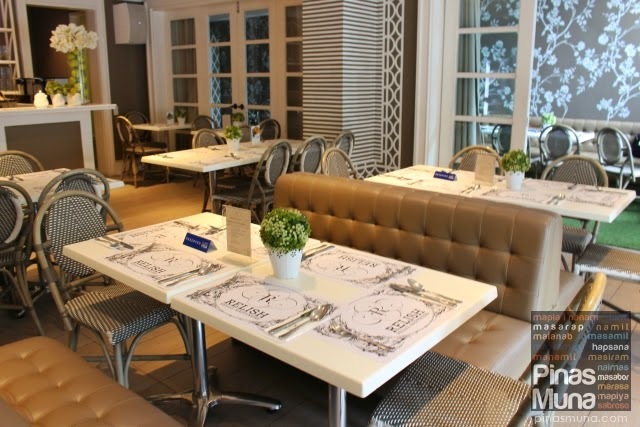 Relish at Ponte was their first branch which opened at Valero Street in Salcedo, Makati City and following its success, they opened their second branch in Quezon City, Relish Hello, Happiness. As we drive along Scout Limbaga, we instantly noticed the classy facade of the restaurant. It looked like one of the houses in upscale subdivisions in Metro Manila. 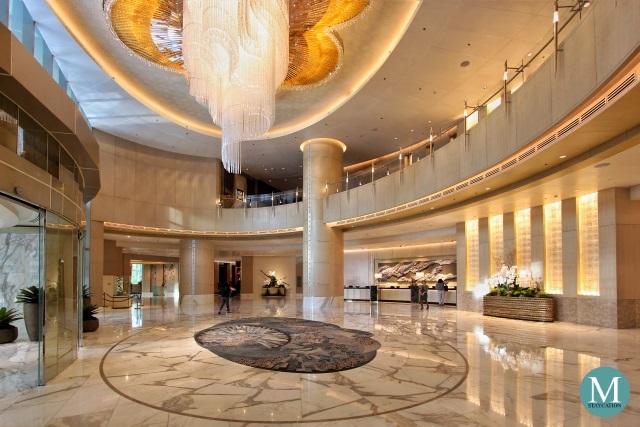 Equally impressive was the reception lobby of the restaurant. Huge white sofas are matched with earth-toned pillows and centerpieces. 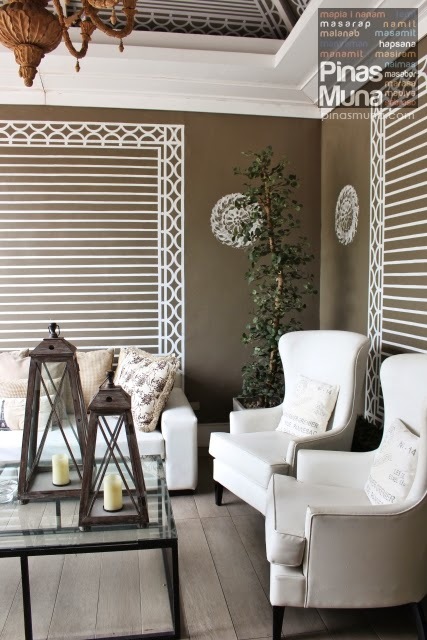 The wall also has the classic light brown theme painted with elegant white patterns. The same theme is translated on the floor. Interesting contrast are the plants which adorn the corners of the space, giving a lively touch to the rather simple yet elegant ambiance. The restaurant's interior was even more astonishing. 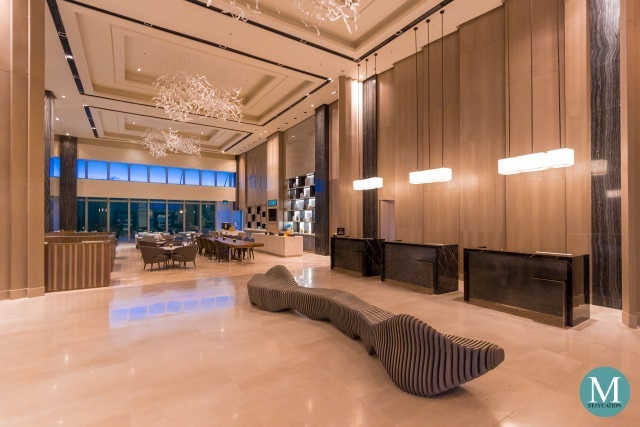 You see the same earth colors, whites and greens in the interior, but the warm lights give the area a more cozy feel. 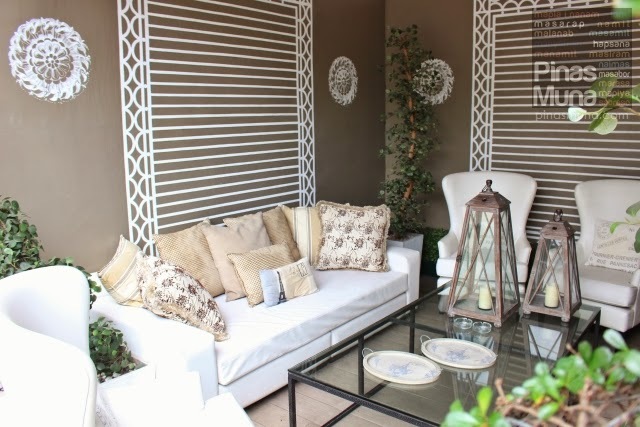 You can also notice the classy white floral pattern on the wall of the adjoining room with a synthetic grass flooring. 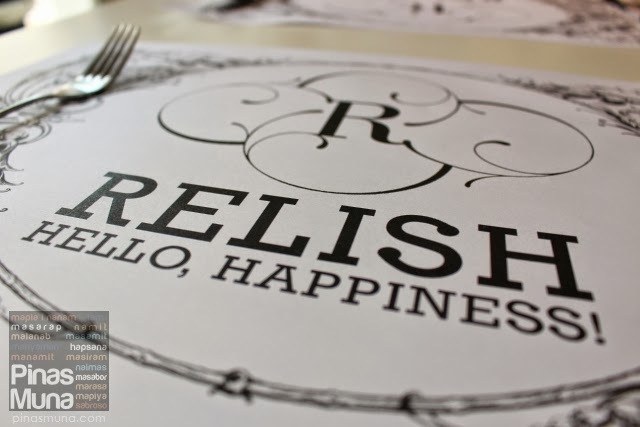 We arrived at Relish Tomas Morato in mid-afternoon. We just had lunch and it was still too early for dinner. 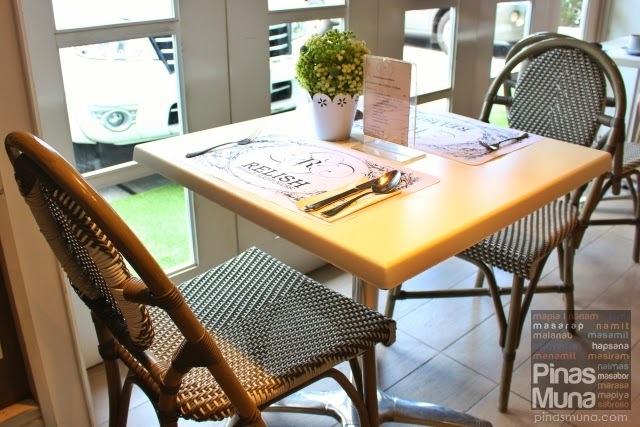 We wanted to try their Afternoon Tea for Two (P375.00), the restaurant could have been a perfect place to enjoy tea with tea sandwiches and samplers of their appetizers and desserts. Unfortunately, we are not really fond of tea, so we opted to try their desserts instead. 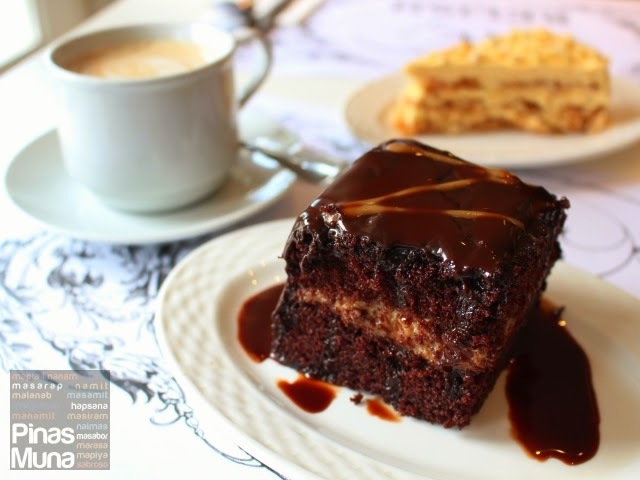 We asked the garcon what their bestselling desserts were, and he recommended the Chocolate Caramel Cake (P140.00) and the Sansrival (P160.00). I ordered Caffe Latte (P100.00) with my chocolate caramel cake while Edgar ordered a large Relish Iced Tea (P85.00) with his sansrival. 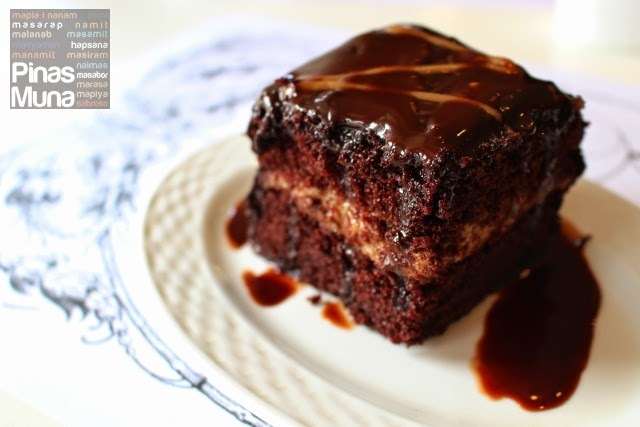 The Chocolate Caramel Cake was perfectlt moist, not too moist and not tod dry, just right. However, there's just too much caramel on this dessert making it too sweet for my taste. The coffee on the other hand was fantastic. Their Sansrival has thick layers of meringue that are perfectly sweet to our taste. 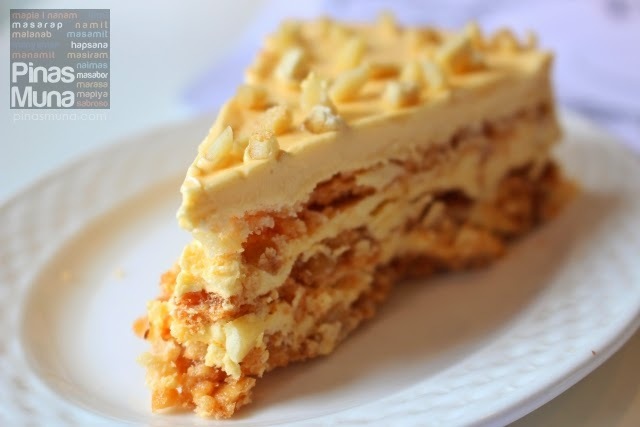 They also put in a generous amount of chopped cashew nuts, giving this dessert more texture to the bite. However, the buttercream filling and coating tasted too buttery for us. 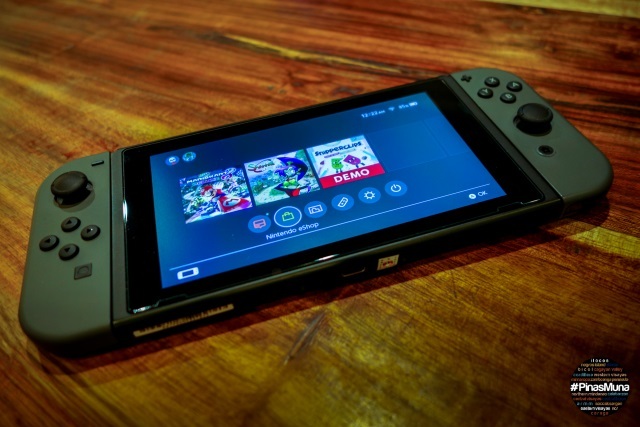 Overall, the entire experience was pleasant. We loved the interior of the restaurant and customer service was commendable. We really can't give a fair assessment of their food because we only had dessert, and the dessert wasn't our personal choice. I really wanted the New York Cheesecake, maybe I should have ordered that one. We see ourselves returning here for lunch or dinner. We really want to try their Relish Roasted Chicken (P395.00) and Relish Bistro Steak with Garlic Mashed Potatoes (P595.00). 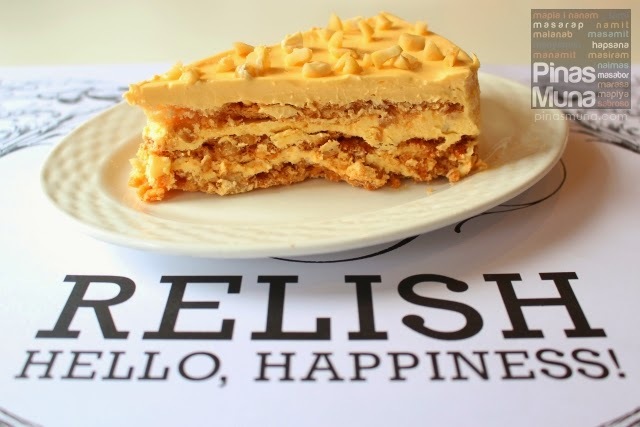 We will update this post when get the chance to eat at Relish Tomas Morato again. For now, here is their menu should you wish to visit them. no point in saying you want to try their tea, and later on state that you are not really fond of tea. Hi! Thanks for visiting. We wanted to try the "Afternoon Tea for Two" (P375.00) which is actually a tea set which comes with mini sandwiches and samplers of appetizers and desserts. We're more interested in what comes with the tea, than the tea itself. And yes we are not fond of tea. Visited this place more often. Every visit is an experience. Kove you relish! You never fail to amaze me. 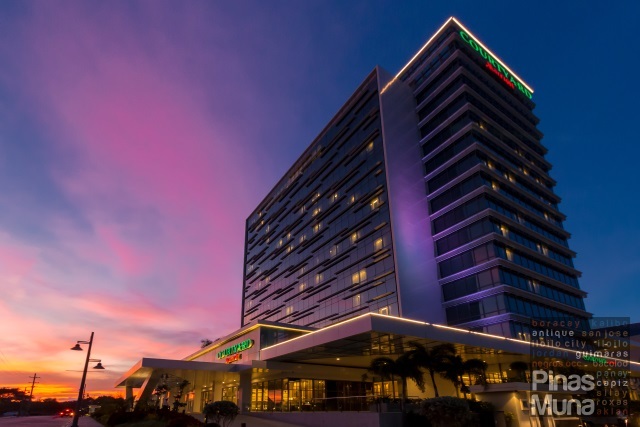 Ms. Liza the manager, has always been cheerful and very hospitable. She's an asset to Relish.